Beyoncé (born Beyoncé Giselle Knowles, September 4, 1981) is an American pop/RnB singer, songwriter, record producer, actress and model. She is the older sister of RnB singer Solange. Beyoncé was named Billboard's Top Female Artist of the 2000s in February 2009 as well as their Artist of the Millennium in May 2011. She was the RIAA's top certified and best-selling overall artist of the decade and the NRJ Music Awards also awarded her as their Artist of the Decade in France. She is one of the most influential artists of the century with solo record sales surpassing 160 million. She holds the record for the most viewed female viral video of all time with Single Ladies (Put A Ring On it) which has views of 600+ million. Born and raised in Houston, Texas, Beyoncé began performing in local competitions at age 7, eventually forming the group Girl's Tyme in 1990 with help from her parents. Girl's Tyme became Destiny's Child in 1997. 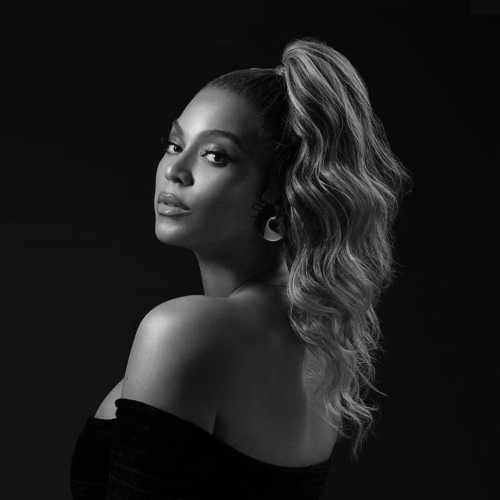 During the hiatus of Destiny's Child in 2003, Beyoncé released her debut solo album, Dangerously in Love, which became one of the most successful albums of that year, and signaled her viability as a solo artist. The disbanding of Destiny's Child in 2005 facilitated her continued success: her sophomore solo album B'Day, released in 2006, debuted at number one on the Billboard charts. Her third solo album, I Am… Sasha Fierce, was released in November 2008, and in 2009 she received 10 Grammy Awards nominations. On January 31, 2010, she won 6 Grammy Awards, breaking the record for most Grammy awards won by a female artist in one night; she previously held the record of five awards with 5 other artists. Following a career hiatus, Beyoncé released her fourth studio album entitled "4" on June 24, 2011, which debuted at number one on the US Billboard 200. 2013 - 5th Album - "Beyoncé" On December 12, 2013, Beyoncé unexpectedly released her fifth and self-titled album in the iTunes Store. Beyoncé called it a "visual album" as it includes 14 songs and 18 videos - with each track having a music video together with additional bonus videos. The album has a list of collaborators including Drake, Frank Ocean and her husband, Jay-Z, and daughter, Blue Ivy. 2015 In February 2015 at the 57th Grammy Awards, Beyoncé won 3 Grammys (and was nominated for 6 Grammy awards) - Best R&B Song for "Drunk in Love", Best R&B Performance and Best Surround Sound Album for Beyoncé. On April 4th, 2015, Beyoncé surprised her fans with the release of a new single and accompanying video, released exclusively on the streaming service "Tidal" which she co-owns with a number of other big name starts including Arcade Fire, Daft Punk, Jack White, Kanye West, Madonna, Rihanna and Usher. The track, "Die With You" is a stripped down ballad, with Beyoncé sitting at a piano with pigtail braids: the song celebrates the seventh anniversary of her marriage to Jay-Z. Super Bowl - February 2016 Beyoncé appeared on stage to perform her latest single "Formation", supporting the headline act Coldplay at the much coverted Super Bowl 50 half-time show on February 7, 2016. Also appearing on stage was Bruno Mars and Mark Ronson who performed their hit "Uptown Funk". 2016 - 6th Album - "Lemonade" "Lemonade" is Beyoncé's sixth solo album and was released on April 23, 2016 as an exclusive on the music streaming service, Tidal after it premiered on the TV Network, HBO, as a conceptual short film. It was subsequently made available for purchase on Apple's iTunes Store on April 24, 2016. The album has 12 tracks, with contributions from artists such as James Blake and Kendrick Lamar. According to a press release from Tidal which accompanied the release, "Lemonade" is “based on every woman’s journey of self-knowledge and healing”. 2017 - Grammy Awards At the 59th Grammy Awards on Sun, February 12, 2017, Beyoncé took awards for "Best Urban Contemporary Album" for "Lemonade"and "Best Music Video" for "Formation" Miscellaneous Beyoncé began her acting career in 2001, appearing in the musical film Carmen: A Hip Hopera. In 2006, she starred in the lead role in the film adaptation of the 1981 Broadway musical Dreamgirls, for which she earned two Golden Globe nominations. On April 4, 2008, Beyoncé and Jay-Z were married in a small, private ceremony in New York. On January 7, 2012, Beyoncé gave birth to a daughter, Blue Ivy Carter, at Lenox Hill Hospital in New York. Beyoncé launched her family's fashion line, House of Deréon, in 2004, and has endorsed such brands as Pepsi, Tommy Hilfiger, Armani and L'Oréal. In 2009, Forbes listed Beyoncé fourth on its list of the 100 Most Powerful and Influential Celebrities in the world, third on its list of the top-grossing musicians, and number one on the list of top Best-Paid Celebs Under 30 with over $87 million dollars in earnings between 2008 and 2009. Beyoncé has attained five Hot 100 number one singles, becoming one of the two female artists—joint with Rihanna—with the most number ones attained within the 2000s, excluding her three Hot 100 number one singles with Destiny's Child.